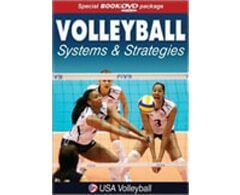 In the Volleyball Systems & Strategies book and DVD package, you will find the optimal tactics and skills for coaching your high school or college-level team. 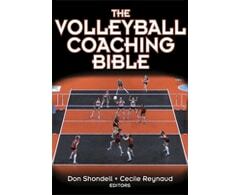 You will get an insider’s view of the best approaches to both the offensive and defensive aspects of volleyball. 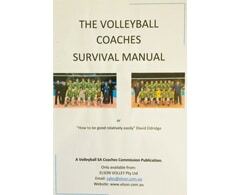 This package will help you coach your team to a gold-medal level of play. Build a successful team around the strength of your players. 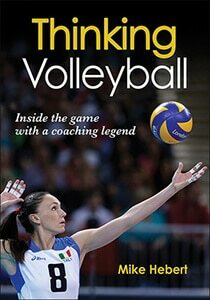 Volleyball Systems & Strategiesis your guide to implementing the world’s top systems and strategies for consistent execution and superior team play. With this special book and DVD, you’ll identify the offensive and defensive systems best suited to your team’s talents, in-game situations, and your opponent’s style of play. Go on the court and see the game’s best serve, serve-receive, offensive, and defensive systems and strategies in action. 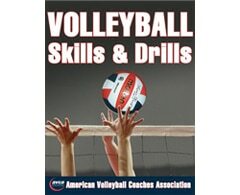 Compare each system’s advantages and limitations, then master their on-the-court execution with over 80 practice drills—complete with variations and coaching tips. If you’re ready to maximize your talents, ace the competition, and step up to championship play, let Volleyball Systems & Strategies be your guide to bringing home the gold.